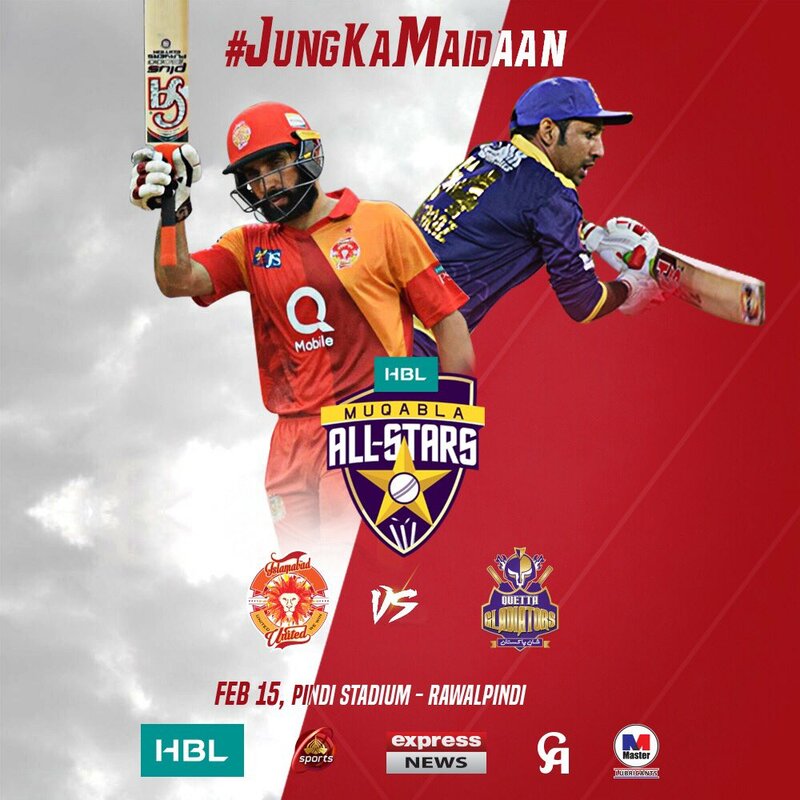 HBL has arranged a match between Quetta Gladiators (captained by Sarfaraz) and Islamabad United (captained by Misbah) on Feb 15, 2018 at Pindi Cricket Stadium. The match called "All Stars Muqabla" is one of its kind initiative where players representing both the franchises, celebrities and former cricketing legends will take on each other on Pakistan's soil. In future more matches will be played in various cities of Pakistan.